The best way to get to know a community is by scheduling a tour. See the facilities, meet the staff and residents, and get a feel first hand what it's like to live at AutumnGrove Cottage Blanco Memory Care. Located in vibrant San Antonio just minutes from San Antonio International Airport and less than 15 miles from downtown, AutumnGrove Cottage Blanco is a charming retirement community. We specialize in providing accommodations and memory care for Texas seniors diagnosed with Alzheimer's and dementia. AutumnGrove Cottage is to the assisted living industry what a bed and breakfast is to the hospitality industry. Caring exclusively for seniors facing the challenges of memory loss, we offer intimate, homelike environments combined with comprehensive personal care and dementia-specific programming. Home to no more than 16 residents, AutumnGrove Cottage Blanco provides a much more intimate environment than other memory care communities. And because we have so few residents, our staff-to-resident ratio is twice that of most traditional assisted living facilities. From our charmingly decorated bedrooms and fresh flowers in the dining room to comfy couches strategically placed throughout our abode, our residents enjoy all the comforts of home while still receiving the care and companionship they need to thrive. 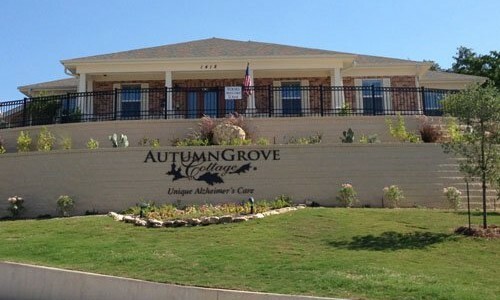 As a community that cares only for seniors with Alzheimer's and dementia, AutumnGrove Cottage Blanco is specially designed and operated to meet the unique needs of our residents. We provide meals specifically designed for seniors with memory loss and offer memory-specific activities to encourage engagement. Caregivers are on site day and night to help with life's daily activities including dressing, eating, bathing and more. We also have a registered nurse available 24 hours a day to respond to and consult on medical issues. At AutumnGrove Cottage Blanco, dementia care is not what we do, it's all we do!